Perovskites are an emerging material for cheap, efficient solar cells which have composition ABX3, where there are many possible ions for each the A, B, and X site. When considering that each site can be alloyed, the compositional possibilities of perovskites are essentially limitless. We have developed spray coating methods to fabricate composition gradients, where opposite ends of a substrate are different compositions and in between these compositions are continuously alloyed. Photoluminescence quantum yield (PLQY) is a metric that correlates with material quality for solar cell applications – typically materials with brighter PLQY will enable more efficient solar cells. Looking closer, we can evaluate the homogenetity of material quality at various compositions. 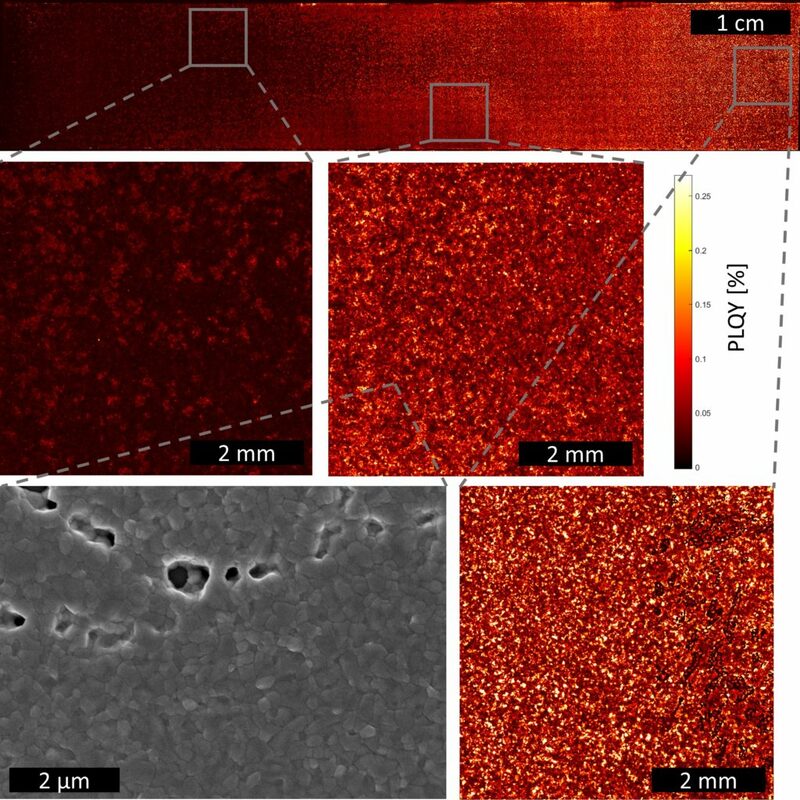 Looking even closer, we can detect the film morphology at the nanoscale and hypothesize how the material will function in a solar cell device. Spray coating is also a scalable method where large areas of solar cells can be fabricated from inks at incredibly low cost.